Former UN Secretary-General Ban Ki-moon on Saturday mourned the death of Kofi Annan, the Nobel laureate and Ban's predecessor, saying that he will always be remembered. 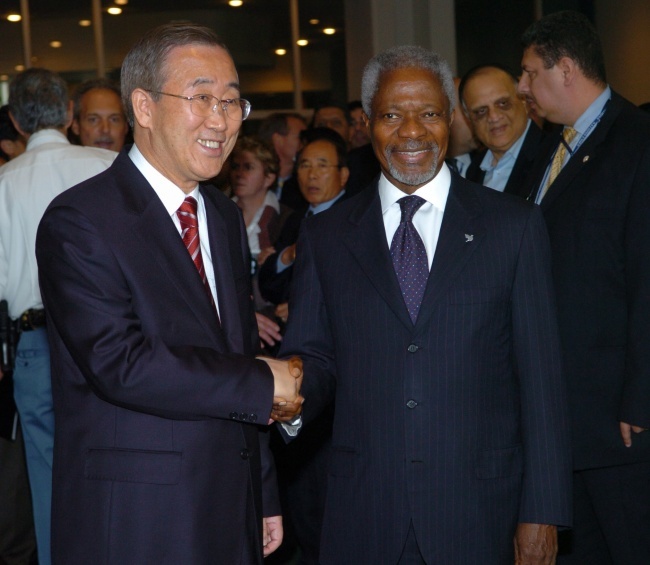 Annan -- who had led the United Nations from 1997 to 2006 -- was announced dead earlier in the day. He and the organization were awarded the Nobel Peace Prize in 2001. "Annan will always be remembered and respected for his vision and courage to keep the principle and idea of the United Nations," Ban said in a press release.